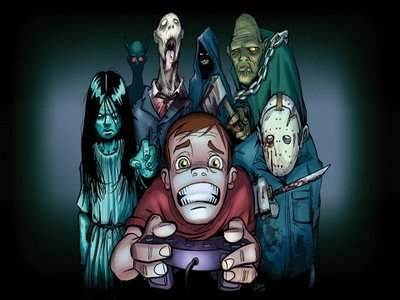 Home » Why Video Games are the Next Step in Getting Your Horror Fix! Horror movies are already an obscure genre within the traditional word of cinema. Personally, I spend more time defending films like The Blair Project and Cloverfield than titles from any other genre. I don’t see Captain America and Iron Man fans vigorously defending the endless amount of sequels their franchises put out. I am not pointing the finger here, but honestly, why all the flack? Because of harsh criticisms and few movies securing nationwide distribution, the horror genre has suffered in terms of the main stream audience. In recent years, many of the horror movies that have flooded our theaters have terrible plots, mediocre actors, and are horribly unoriginal. In response to that, most horror have turned their focus to independent and foreign films to get their horror fix. But beyond that, it surely seems as though horror gaming is the logical next step for horror fans. I know that might sound like a sudden shift, but indulge me if you will. I have played various games inside the Silent Hill series and can say that playing in the dark by yourself in a purgatory-like place filled with horrifying monsters has more long lasting effects than watching a horror film. When you play a game like Silent Hill, there is no relaxation period that immediately follows an intense climax. When you confront past demons or fend off armless corpses, the tension stays and so does your panic. I have admittedly curled up underneath my covers or clutched my husband’s arm at a terrifying film, but Silent Hill has coerced yelps, expletives, and led to me throwing my controller to the ground. A fantastically wicked video game creates an atmosphere that is only rivaled by horror movie rock star thrillers like The Evil Dead, Poltergeist, or The Exorcist. In these movies you are enraptured by the story, but in a video game, as the protagonist, you cannot help being completely enveloped by the world around you. You are creating your own destiny and story by the choices made in survival horror games rather than wading through films that just leave you disappointed. 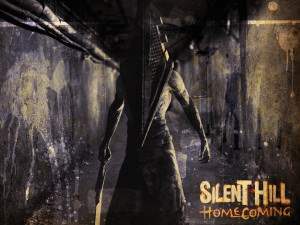 If you have never played a survival horror game like Silent Hill, Resident Evil, or Condemned, give it a try and see what I mean. Sadly, if there isn’t a sudden revolution within our genre we will all be deeply buried within the non-traditional circuits searching for the next big thing. Plus, while movies seem to plateau, video games are skyrocketing in production value, storyline, and graphics. Logically we tend to spend our money on what we consider to be worth our time and money and considering movie attendance is slowly falling, video games may just be the next big thing.